I teach pupils with autism aged 13. Each school day begins the same. Visual timetables and schedules are prepared the evening before to ensure that there is a structure and that the students are informed with the layout for the day. All the students arrive on buses. When they arrive in class, social skills and self-care skills are put into practice; taking off their coat, hanging it on the hook, taking out their lunch and diary from their bags and placing it on teacher’s desk. These self-care skills are important as they give the teenagers a sense of independence. Once all the students arrive, the day begins. Each day has a similar structure to maintain continuity. In the morning, the class do one-to-one tablework with the assistance of a staff member. I use ABA (Applied Behavioral Analysis) in my class. Each task consists of 20 repetitions, which can be completed independently or using prompts. This depends on what stage the student is at and how long they are taking to complete each task. This means there is a token system during table work where the students work for reinforcers. For example a piece of chocolate, a jelly or some crisps. At 11, the students go to the communal dining room for their snack. The students bring their snack from home. At lunch, the students line up and get their dinner from the school cook. Visual pictures are provided as a menu to show the students what food is available today. 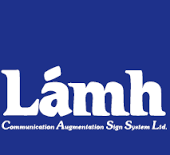 The students request by verbally asking for what they want, using lámh signs or pointing. The mid morning session involves more group activities and tasks. Circle time is completed each day when we discuss the day, date, month, season and weather. Each student also signs in each morning by writing their name independently or with hand over hand assistance. As a differentiated model for SESE, we look at various pictures and words based on a theme. The afternoon comprises of more wind-down tasks such as art, stories, cookery, going to the sensory room and sensory music tasks. I use sensory music tasks to prepare the class for home time. I write the home/school diaries each day informing the parents about how school was, what tasks the students completed and another other relevant information the parents may need to know. On a similar note, the parents fill in the diary to let me know about their child’s evening and any information I may need to know. At times, we deal with challenging behaviour. This could be verbal in terms of shouting and screaming or physical with hitting and kicking. As a class, we have implemented procedures to be followed to ensure the care, welfare, safety and security of all involved. 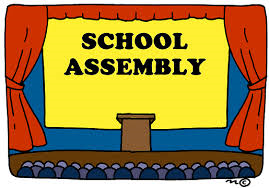 As a school, we do assemblies once a week where the classes come together and speak about their news and perform songs and dances. We also have a music therapist who takes children on a one to one basis for music therapy sessions. Of course, each day you see the tendencies associated with autism coming through- the child who will only drink from a certain cup at break time, the child who likes his schedule to be perfect, the child who repeats everything you say (echolalia) or the child who eats in-edibles (pica). I think though once you get used to these things, you begin to look past the autism and just see the child. Once all the students go home, it is preparation for the next day and the visual schedules go up once again.